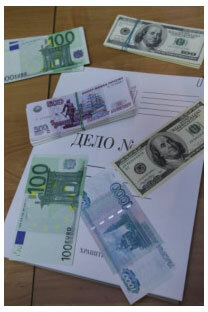 A year ago, I made a conjecture that the "strong government" model will enable Russia to raise sufficient funds to emerge wiser and stronger from the crisis, and suggested five anti-crisis rules. The focus was on fighting unemployment and creating a clear crisis management plan centred on infrastructure projects and support for key industries. A year later, I would like to introduce some ideas for discussion on how to speed up economic recovery. Having prevented mass unemployment, the Russian government can now concentrate on the interim phase, which according to Prime Minister Vladimir Putin is designed to allow the country to move from the peak of the crisis to a new phase of sustainable economic development and diversification in the next three years. It should be acknowledged that the "strong government" model made it possible for the Russian authorities to achieve the tactical goal of overcoming the worst case scenario. The government managed to stabilize the financial system and avoid general unemployment. Being the only per se investor in the Russian economy during the crisis, the government de facto assumed the role of a direct investment fund to ensure social stability and defibrillate the national economic system to turn it around and give it the right impetus. Extensive experience in direct investment funds suggests that the success of the Russia Investment Fund will depend on the answers to two questions: What to invest in to achieve maximum efficiency while preserving and creating jobs and an innovative economy (industries, enterprises, projects), and how to motivate the right people to invest in the most relevant and efficient projects? In other words, the question is how and in what industries should we invest state funds to ensure the maximum performance and minimum loss? These are the simple rules that successful funds follow to considerably reduce the risk of mistakes in selecting their investment targets. 1. Focus on the projects where a fund enjoys unique expertise and competitive advantage, as for example China and India did when the former concentrated on cheap FMCG and replication of technology and the latter on IT. Potentially, Russia might have an advantage in IT, nuclear technology, space and medicine as well as its unique expertise in energy generation. These areas were specifically identified by President Dmitry Medvedev as the five strategic priorities. Now the objective is to break these areas down into concrete projects and companies. 2. Funds like investing in infrastructure. It is much more profitable to sell shovels to diggers than to try and guess who will strike gold. Our fund invests aggressively in accessible broadband internet. We believe that growth in this sector is crucial for development of many other sectors. Investments in telecommunications infrastructure and satellite navigation systems will help the government generate sustainable cash flow and lay the foundation for a number of other businesses. 3. Funds mitigate their risks by targeting companies that help end users achieve dramatic cost reductions. There is no guarantee that new nanotechnology will be relevant, while conventional technology leading to a 30-40 percent cost reduction might be what the doctor ordered. 4. Funds invest in cash cows. Not all government projects focus solely on the direct generation of cash. For example, the Israeli government’s $500 million land and infrastructure investment in an Intel manufacturing facility had a three year payback period based on the personal income taxes of highly paid professionals and new businesses. The second important group of questions is related to motivation. Investment funds keep on thinking how to encourage staff to enhance performance and capitalization. Will the government be able to create the conditions necessary to motivate a mid-level bureaucrat to support innovations rather than sabotage them, focus on project results rather than the potential to profit from bribes? Indeed, the outcomes of government actions can be measured using such indicators as the volume of attracted investment, number of new companies and jobs, industry turnover and growth. Additionally, the motivations of the government itself and the government incentive systems can be more flexible and result-oriented. I would take the liberty of assuming that to motivate a mid-level manager or bureaucrat is the most critical task, success or failure of which will determine the success or failure of our transition to an innovative economy. In this regard, we can draw on the accumulated experience of funds in terms of providing incentives and motivation. The Russia Investment Fund has got it right. There is no way you can dream of a cloudless future when unprecedented measures taken by other governments to stimulate their economies can potentially lead to yet another bubble. Long-term confidence in overcoming the crisis will be possible only when the government answers both key questions: “Where to invest?” and “How to motivate?” Before you let go of the oil trapeze to grasp innovation, you have to create a new trapeze first. Kirill Dmitriev is the president of the Icon Private Equity Investment Fund.